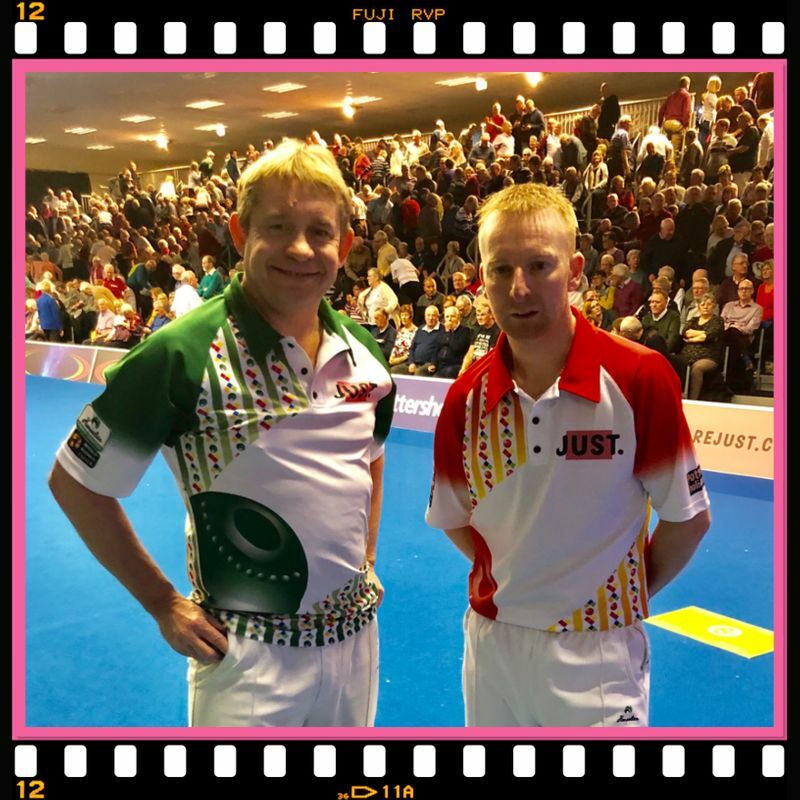 Usually playing as pairs partners on the WBT Tour – winning that title in 2014, Huntingdon’s Nicky Brett and Ely’s Greg Harlow found themselves on opposing sides today when they clashed in the quarter finals of the Just World Indoor Singles championship. Both former winners of this title – Brett in 2016 and Harlow – who is the current world ranked number 1 and an Ambassador at the Potters Resort, in 2010. Brett though, who has already lost in the Open Pairs and Mixed Pairs finals this week with the last bowl in both finals, was clearly focused and not in the mood to experience a third defeat in a row. He brought his ‘A’ game to the match, denying Harlow time and time again with some crushing draw shots, eventually winning 9-3, 9-1 and will now wait for the winner of tonight’s match between 2014 champion Darren Burnett and qualifier Simon Skelton, a former Top 16 ranked player.